© 2015 Serge Ramelli and YellowKorner. All rights reserved. So many of us in the 21st century have lost the sense of awe that once went hand in hand with the skyscrapers, huge cities and amazing buildings that we’ve come to know so well. Although there are still some that continue to have that awe-inspiring effect, the reality is that we’ve become so used to vastness and hugeness that we seem to have lost that long lasting appreciation that we once had for these structures. This is far more apparent in those of us who actually live in these big cities – we’ve started to see these things as ordinary, and we’ve stopped really looking. Serge Ramelli takes his camera to the Big Apple and succeeds at reinstating that deserved awe and appreciation by capturing New York in all of its immensity. Beautifully, Ramelli reverts the ordinary back in to the extraordinary through the use of carefully composed photographs. He brings back the previously lost feeling of seeing a landscape, building or skyscraper for the first time, making every picture take you back in time to before you’ve seen anything like it. Choosing to keep people in his images to a minimum, and always keeping them in the background, he invites us to see each picture from a sightseeing perspective without the touristy feel. Owning his own production company in New York, Ramelli is a film enthusiast and a lover of dramatic imagery and fantastic lighting. The city, therefore, seems to be the perfect place for such a person to take photographs, with its dramatic landscapes, showbiz history and an abundance of natural and artificial light. In New York, Ramelli certainly portrays these loves in his photographs – from the Manhattan Bridge half immersed in mist to pictures overlooking the city at night when everybody’s lights are on, he combines his love of dramatics and lighting to create spectacular images. The book does justice to the New York’s hugeness and uniqueness and Ramelli brings the city’s dramatic and large history of showbiz to the forefront of our minds with each photograph. It is a refreshing piece of genius. 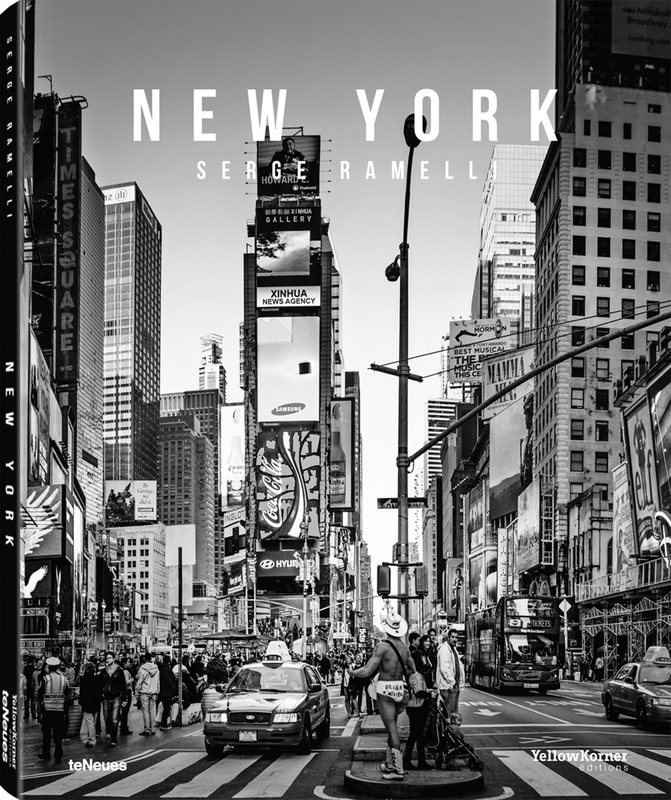 New York by Serge Ramelli, published by teNeues, www.teneues.com.